You have 3988 characters. Don’t forget to add important and relevant keywords in your description to improve your iTunes app page and optimize your SEO. 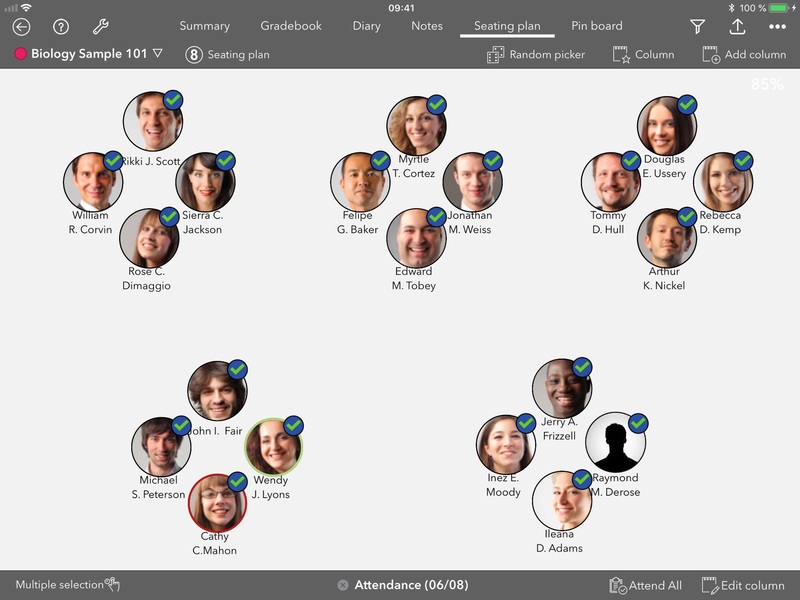 iDoceo is a powerful assistant for teachers. 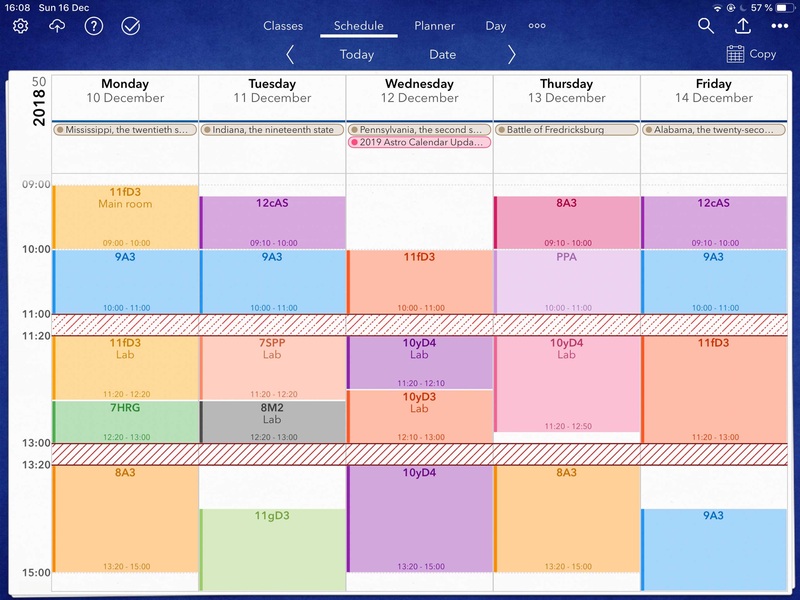 You can add an unlimited number of students and classes. iDoceo is paid only once and you get the full app and its updates. There are no additional subscriptions or in app purchases. iDoceo respects your privacy and confidentiality. Works completely offline. No internet connection required. All your data is only stored locally in your iPad, not in cloud or external servers. - Fully fledged gradebook for teachers, configurable, with custom calculations, attendance and can be linked to Google Classroom. - Resource manager that will help you keep track of PDFs, audio,files,links,images,etc. - Timeline view with all your lessons on sight. Bump, lock and yank lessons. 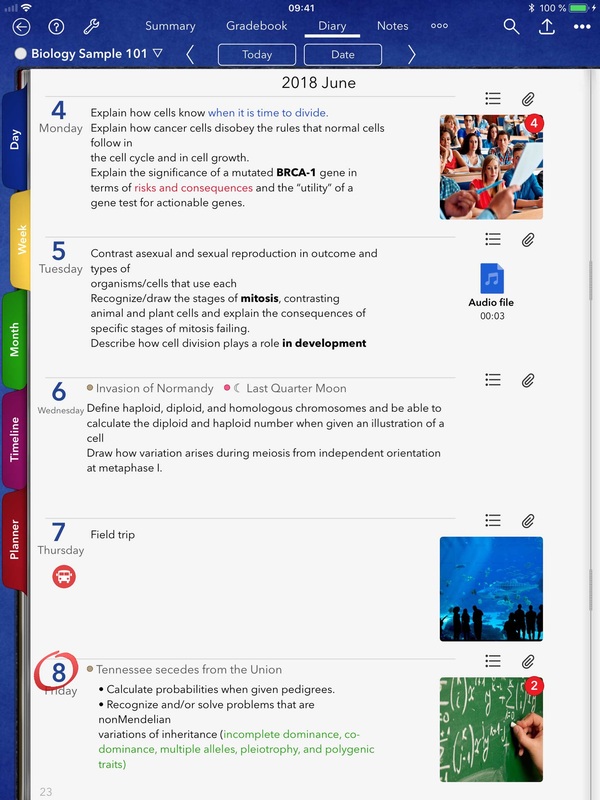 - Add files from any source, video, audio, handwritten notes, links and resources to your lesson plans. - Create PDF/XLS reports of your planner and diary. - Evidence tracking features. Take pictures, record video and audio and attach it to any cell and student. - Calculate simple weighted averages, additions or create your own Excel like formulas with conditions and complex functions. - Add columns and edit your data as if you were in the gradebook. - Random group generator and picker. - Full PDF report of your notepads. 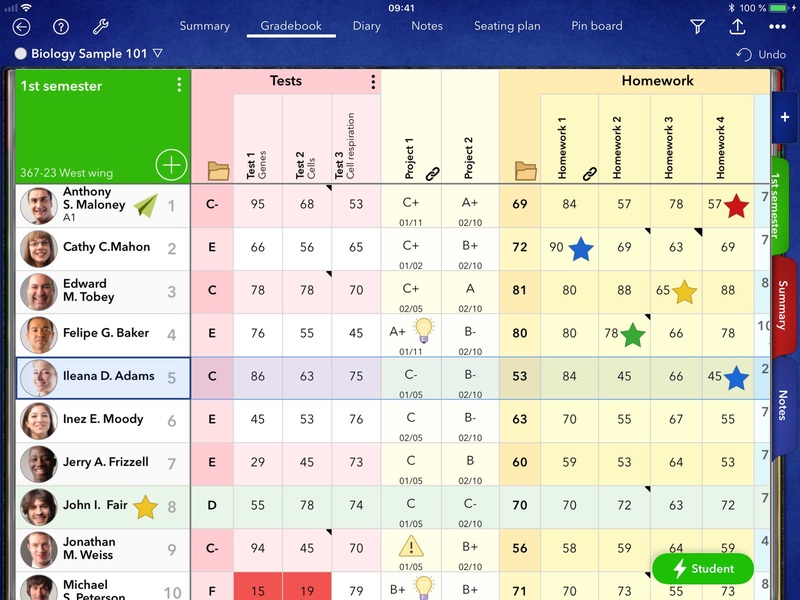 anywhere: gradebook cells, students, classroom, diary, planner. - Play Keynote presentations, view XLS files, audio and videos. - Multiple backup options: Dropbox, Google Drive, iCloud or your own WebDAV server. - Class’ summary with configurable widgets. - Bulletin board with resources and notes. Thanks for all your support and great comments in the App store! if you have any questions or suggestions for our next updates.